Summary: Specialise in workshops for Schools, Communities, Festivals and Parties. Qualifications: M.A. Degree in Digital Practices. The ‘Green Man’ Tour… 6 performances in Norfolk, using research, drama, engineered sound, singing bowls, flute, drums and African harp. 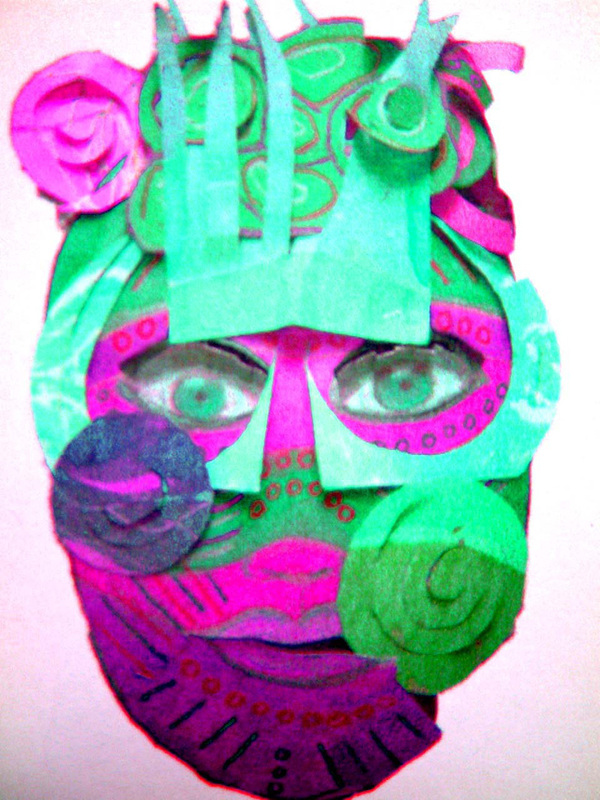 The performance was given using masks made from Silver Birch, Oak, Hawthorn, Ivy, Willow and Rowan. Digital Sound-scape and recordings of ‘The Ancient Ones’ were created for atmosphere. ‘Slim Your Bin’, a project to promote recycling in South Norfolk, encouraging hoteliers to re-use… After playing the didjeridoo in a wheelie bin, and covered from head to toe in recyclable objects, such as plastic spoons, wrappers, packaging, film cases etc, I then jumped out reciting a ‘recycling’ poem and then gave a demonstration/ workshop of how it is possible to create a work of Art re-using broken plates to make mosaics. A world conservation project, ‘Hotstuff’ was developed, to make children aware about sustainable energy and recycling. 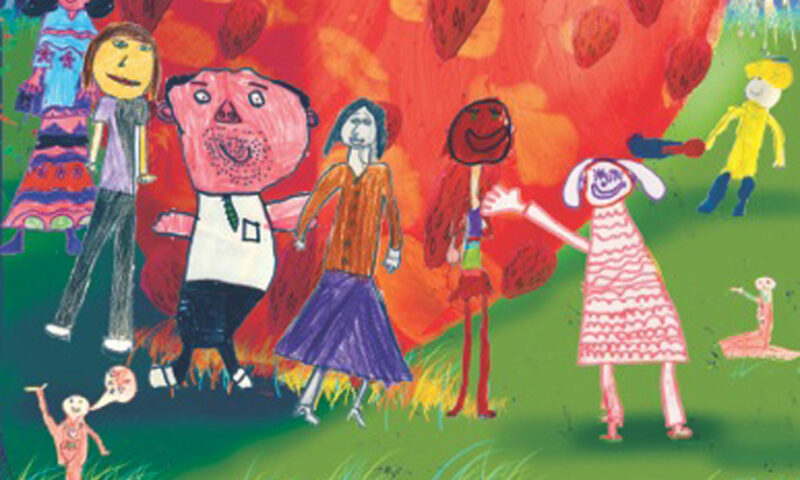 The amount of energy we use in this country was measured in footprints, which each child at Bowthorpe school in Norwich decorated with objects they might have otherwise thrown away. They also made an object out of clay and had to place it into a giant ball ‘world’ so they saw their piece being ‘recycled’. Music, story, movement and songs, were performed about the elements to finish. 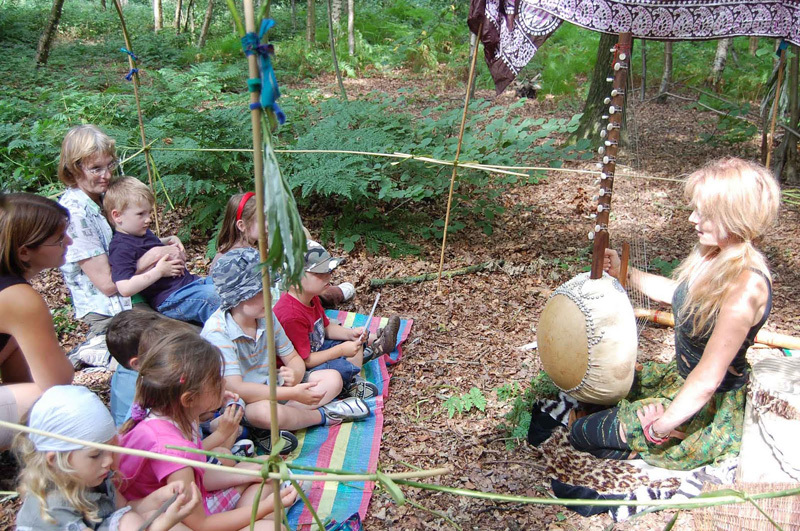 Forest Stories at Poringland – Dressed up as the green woman, made a bender house from willow and bamboo, and told ‘green’ stories to young children. Whitlingham Nature Reserve – Storytelling workshop for all volunteers, encouraging adults of all ages to go out of their comfort zone, using the voice, drama and physical technique. Drama Collaboration with “Open Doors Company,” where the clues were acted out to complete a cross word drama puzzle. Groups Worked with: With children of all key stages and people of all ages, in Schools, libraries, community centers, festivals and private homes etc.